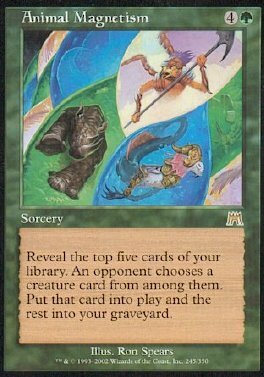 Reveal the top five cards of your library. An opponent chooses a creature card from among them. Put that card into play and the rest into your graveyard.